This house has incredible ocean views! Current owners have made extensive improvements and have done all of the work for you, time to enjoy. Hardwood flooring on the main level is gorgeous and the galley kitchen has been renovated. Furnishings and bedding are very tastefully executed and shows very well. The plumbing in this home was also replaced as part of ongoing preventative maintenance. The Trane heat pump and new stainless steel meter base were installed in 2015. The screen porch has been completely remodeled -new wood ceiling , new bead board, recessed lighting, ceiling fan, and carpet. 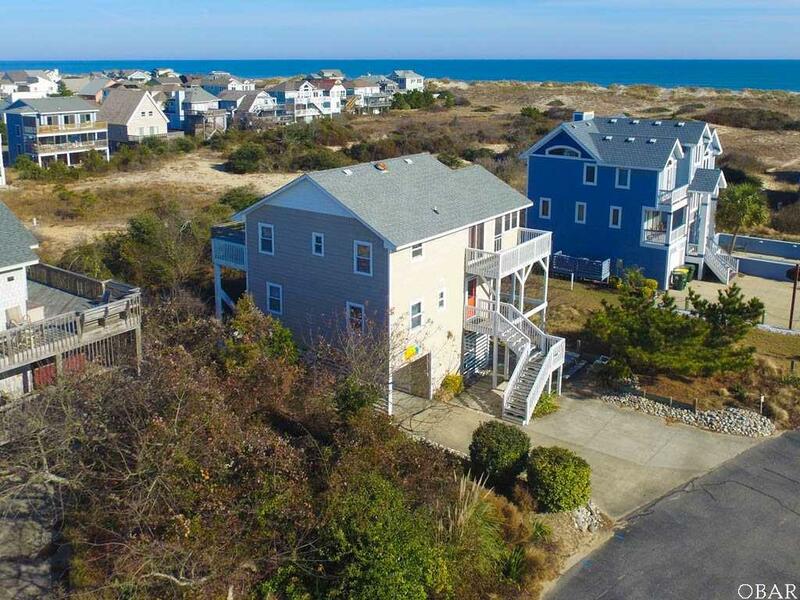 The Ocean Sands beaches are some of the widest and cleanest beaches in all of North Carolina, and your view of the ocean from this house sets this house apart from its peers. You have to see it to believe it. Your tenants will also appreciate it's central location, close to the new Harris Teeter, restaurants, shopping, Golf, Tennis, and the amenities of Ocean Sands, a family friendly community. The Corolla bike and pedestrian path runs alongside Hwy 12 from Ocean Sands Sec. A to Monteray plaza and the beach is easily accessed from any of the community beach walkways.